This is the final chapter in the Skywalker saga and a holographic cameo from the Emperor, played once again by Ian McDiarmid, wouldn’t be a total surprise. After all, Master Yoda (Frank Oz) appeared as a Force ghost in The Last Jedi. A longheld fan theory is that Rey (Daisy Ridley) is somehow connected to Emperor Palpatine or a reincarnation of Anakin Skywalker. We'll find out for sure when Episode IX is released in cinemas December 2019. This would be an interesting plot twist. 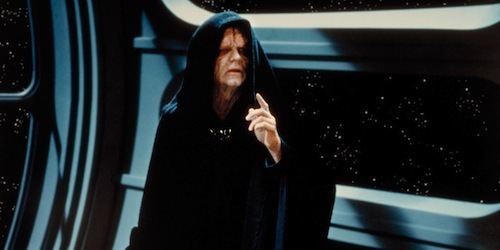 Given Palpatine's machinations started the Skywalker saga, it would be apt to see him back in some form.